Most vegetables are takers but bean give back. Along with the rest of the legumes beans have formed an amazing symbiosis with nitrogen-fixing bacteria (Rhizobium). These bacteria that call the roots of legumes home are capable of taking the inert nitrogen gas (n2) that constitutes almost 80% of every breath that we take and turning it into a form of nitrogen that plants can use. Nitrogen is the most limiting nutrient to plant growth in the garden. The more nitrogen your soil contains, the better your garden will grow. Thus, beans nourish not only the gardener but the garden as well. I love beans in their dried form, but the green bean leaves me wishing for more when it hits the kitchen counter or the dinner plate. Sure, a salade niçoise is great but it’s more about the olives, boiled egg, and tuna for me. Green beans almondine? I think it’s an absolutely satisfactory side dish but I have never craved it and I crave most things from time to time. What I really love to do with green beans is pickle them. When you preserve a summer-grown ingredient, it is usually about packing some of the vibrant flavours of summer up for use on a cool and drizzly winter’s day. The flavours of the preserve might not be as good as garden-fresh produce, but what you sacrifice in flavour you gain in shelf-stability. 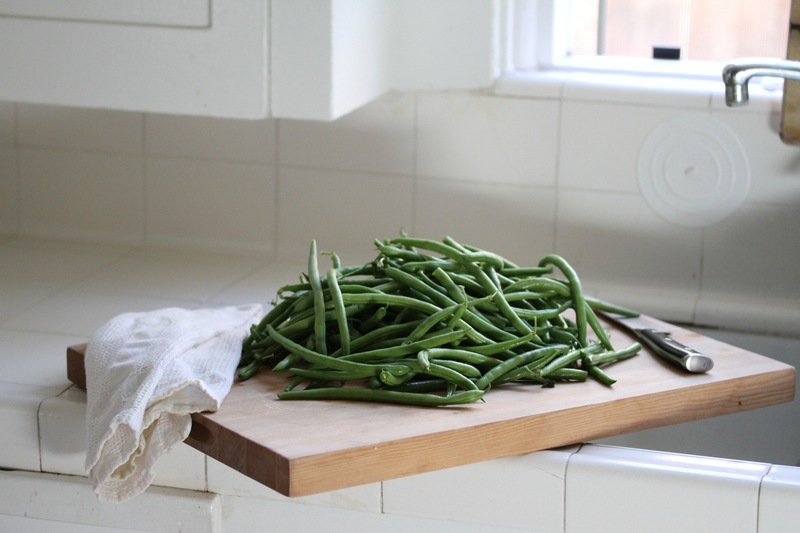 Pickling green beans is not a seasonal compromise. It elevates the ingredient and makes it delicious… but you’ve heard what I think about green beans so take this opinion with a grain of salt (or a half-cup as the recipe advises). Serve these pickles on your cheese platter, use them as a garnish in a Bloody Mary, or eat the whole jar in a single sitting. This is a recipe that will do well in both a water-bath canner and in the fridge. If you feel up to canning your beans, do so! If you do not want to go through the rigmarole of canning, prepare the recipe but omit the boiling-water bath and allow the beans to cure in the fridge. This recipe should keep in the fridge for up to a month. Place a clove or two of garlic, a sprig of fresh dill and a sprinkling of pepper flakes into each jar. Pack the rinsed and trimmed beans into the sterilized jars atop the garlic, dill and peppers, leaving ½ inch of headspace. 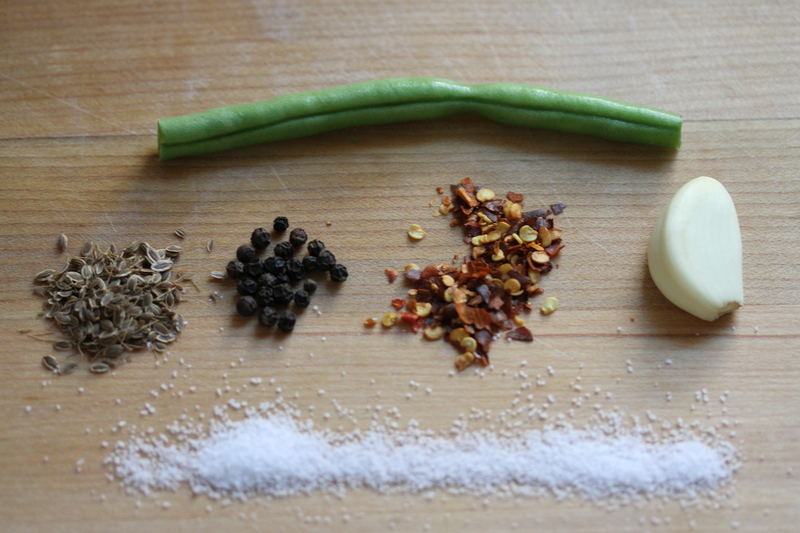 Wait 10 days before sampling your beans – pickles take time to cure! Next Next post: Fall Baking: Jonathan Dye’s Pumpkin Purée Tutorial & Recipe for Classic Pumpkin Pie!